The Call-To-Action add-on (CTA) help you increase conversion rates by displaying a clean looking call-to-action box showing on every single review entry you publish on your website. By default, the CTA box will show at the bottom of your entry. 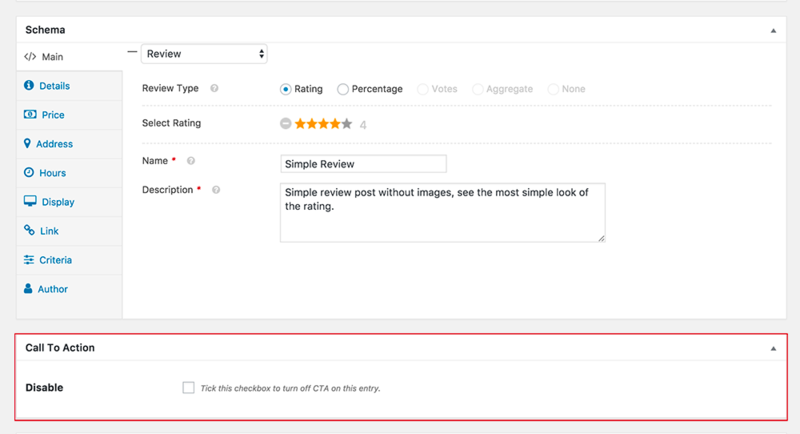 The CTA box shows automatically on your entries, you don’t have to do anything rather than installing the plugin, it will indicate what review type is selected and display rating stars, percentage, votes or aggregate rating accordingly. 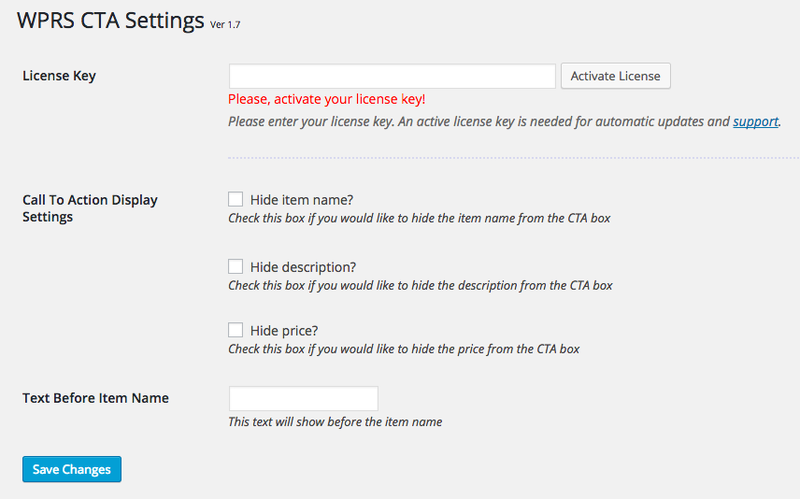 The Call-To-Action add-on has a simple settings page to allow you have control over a few things. You can hide the item name, description or price. Also, add an extra text before the item name. Since 1.9.2, we’ve added a simple way to exclude the Call To Action box, you can use this feature to disable or remove the CTA box from any entry. This post meta box will show only on enabled post types.